A few years ago A.S. Byatt wrote a famous critique of J.K. Rowling’s Harry Potter series, dismissing them as “jokey latency fantasies”. In it Byatt argued that unlike works such as Susan Cooper’s The Dark is Rising or Alan Garner’s troubling and often unsettling children’s books which demand children grapple with a world larger and stranger than they had previously imagined, Rowling’s books allow children to fulfil their infantile fantasies of unrecognized importance and power. Whatever one makes of Byatt’s argument, it’s difficult not to wonder whether her essay played a part in the formation of Lev Grossman’s exuberantly entertaining 2009 novel, The Magicians. At once loving homage and deadly accurate deconstruction, it imagined a world where magic is real, and asked, with considerable sophistication, what it might mean if that particular fantasy came true. And in the process it created something at once strikingly original and deliberately subversive, not just a story about the loss of illusions and the beginnings of adulthood that was simultaneously an exercise in re-enchantment but a exploration of the manner in which power and trauma distort our inner selves. The Magicians centres on Quentin Coldwater. “Sarcastic and spookily smart”, Quentin is also, as his friend Julia admits to herself at one point, “basically a kind person who just needed a ton of therapy and maybe some mood-altering drugs”. Lonely and isolated at high school, Quentin’s one solace (other than his hopeless passion for Julia) is his absorption in the Narnia-like Fillory novels. Yet when an alumni interview for Princeton turns into an exam for an ultra-secret, ultra-exclusive school for magicians called Brakebills, Quentin finds himself initiated into a world where his oddness is no longer a liability, and where, amazingly, Fillory is more than just a story. 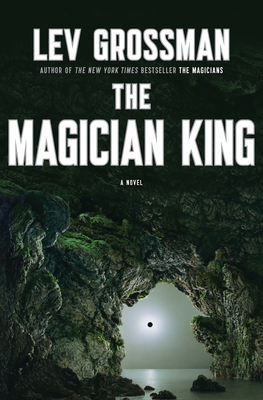 Grossman’s follow-up, The Magician King, begins two years after the events at the end of The Magicians. Quentin is now one of the kings of Fillory. It’s a good life: populated by magical creatures and impossibly beautiful, Fillory is as close to perfection as any place could be. But as Quentin is beginning to realise it’s also a little bit boring. And so, when a carelessly arranged day in pursuit of an enchanted hare ends in tragedy, Quentin decides to embark on a quest. As quests go it’s no big thing, just a trip on a refitted sailing boat to an island in the Eastern Ocean to find out why the inhabitants haven’t been paying their taxes. But for the now-restless Quentin it seems enough just to have a purpose again. These early chapters unspool with a brisk efficiency, but the novel only really kicks into gear when Quentin stumbles on a golden key, which when used does not transport him somewhere magical, but dumps him and his childhood friend and fellow tetrarch, Julia, back on Earth. Desperate to return, the two of them must navigate a hitherto unglimpsed magical underworld populated by self-trained wizards and witches, and utterly unlike the cosy prep school world of Brakebills, a process that gives Quentin his first glimpse of the price Julia, who was rejected by Brakebills, paid to acquire her powers. But as they discover on their return to Fillory, their experiences on Earth were only the prelude to a much larger and more perilous quest to save not just Fillory, but magic itself. If much of the pleasure of The Magicians lay in its unfeigned delight in the books from which it drew its inspiration, much of its power lay in the tension between the magical elements drawn from C.S. Lewis and Harry Potter and elsewhere and the restless, dissatisfied and painfully human dramas of its protagonists. For all its playful energy it was ultimately a surprisingly dark book about loss, and failure. Something similar is true of The Magician King. Once again the book riffs wickedly on the tradition it inhabits, managing to seem as comfortable invoking the secret lore of 1970s role-playing games and Neal Stephenson novels as it is gesturing to Le Guin and Tolkien. And once again it manages the not-inconsiderable feat of managing to be both extremely funny and utterly believable. Yet it is also a more ambitious book than The Magicians. Moving beneath its surface are a series of deeply disquieting questions about the corrupting nature of power and the theological underpinnings of fantasy worlds such as Narnia. The gods Quentin and his friends glimpse are not benevolent, but cold and distant, while their expressions on Earth are not just capricious but actively malevolent. Certainly it’s safe to say that you’ll never look at Aslan the same way again. Despite the achievements of writers such as Guy Gavriel Kay and Neil Gaiman Fantasy is a genre that has long struggled to be taken seriously, often treated as faintly ridiculous or an embarrassing overhang from childhood. In The Magician King Lev Grossman demonstrates it is neither, producing a book that does not simply crackle with energy and ideas, but which manages to be at once an inquiry into the underpinnings of the tradition it occupies and a brilliantly eloquent demonstration of its possibilities. The Magician King is not a book for children, or even a book about the stories of childhood for grown-ups. It is quite simply one of the smartest, funniest, most exciting novels you’re likely to read this year. Originally published in The Sydney Morning Herald, 15 October 2011.